Along with costs, utilities increasingly are emphasizing resiliency. Treatment facilities are normally located near rivers or the coast, to allow them to easily discharge the clean treated water, and this can present risks in times of severe storms. In New York City after Hurricane Sandy, for example, wastewater treatment plants were severely flooded, and emergency generators were overwhelmed. 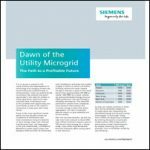 Infrastructure hardening and resilient back-up power solutions like microgrids and distributed generation can help municipalities better manage these events. One particular circular economy solution is anaerobic digestion. Municipal wastewater facilities process large amounts of water, making them ideal candidates for the technology. Adding food waste can produce significant amounts of additional natural gas. At some facilities, for instance, fats, oils and greases are trucked to the plants from local food service establishments. The biogas produced can be used to supply onsite boilers, generate electricity, or sold to the pipelines. Excess energy can be fed back into the local electrical grid providing a source of revenue for the municipality. Public private partnerships or power purchase agreements can help to finance energy projects. But there’s more than biogas and anaerobic digestion that can power a wastewater treatment plant. Other options include solar power and energy storage. Many treatment facilities have excess space, unobstructed by trees or shade, which make them ideal for installing solar farms for electricity generation. Utilities from California to Massachusetts are taking advantage of the revolution in solar to green their facilities. Some sites are taking advantage of the large volumes of stored water, and setting up pumped hydro storage schemes. Water is pumped to a high location at night, when electricity is cheap, and discharged during the day to generate electricity. San Diego is currently developing a 500-MW pumped storage facility at their San Vicente reservoir. The water infrastructure has been in place for years and now the time is right to utilize this resource as an environmentally friendly battery . Public private partnerships or power purchase agreements can help to finance energy projects. In areas where electricity prices are high, like New York, California, and Washington D.C., the financial benefits are wide. In the middle or South of the U.S., where electricity prices are lower, resiliency and greenhouse gas reduction become the primary drivers. Veolia is one of the world’s largest operators of water and wastewater treatment plants, and one of the largest district energy providers, as well. Bringing together our knowledge in both these sectors, we are working to deliver improvements to the way energy is generated and used in water and wastewater treatment facilities. The opportunities to increase energy efficiency and resiliency, capitalize on new revenue streams, and reduce greenhouse gas emissions are different for each facility. Industry partners can work to help bring the experience and expertise to assess your site and develop the best solution. 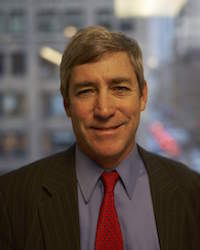 Mike Byrnes is chief operating officer of Veolia North America. Thanks for the interesting article about wastewater treatment. It’s good to know that anaerobic digestion could be good for municipal wastewater facilities. I’m kind of interested to learn of what other technologies should be utilized depending on the size of the facility or what methods they already utilize.